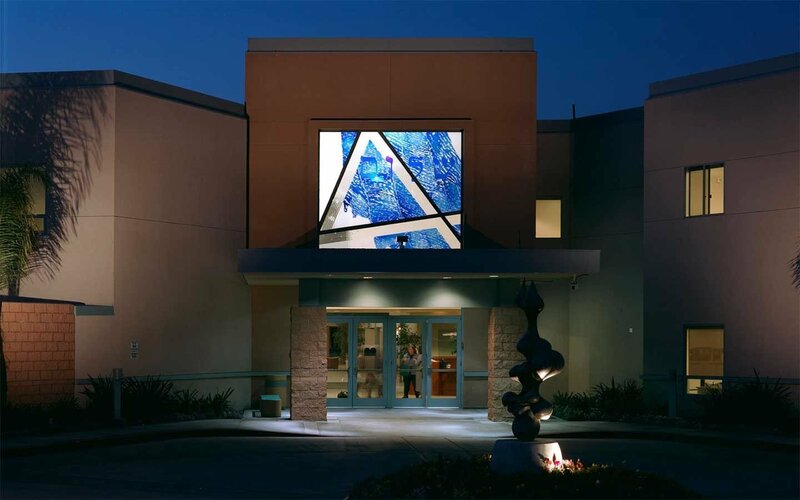 For over sixty years, the “J” has been a place where families and individuals come together for friendship, affiliation, and socialization in a safe and welcoming environment. 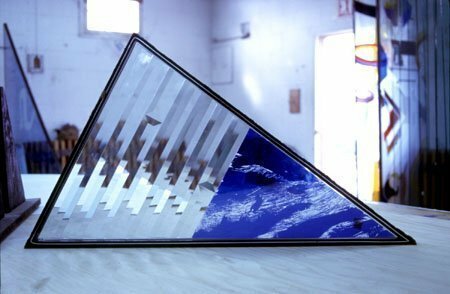 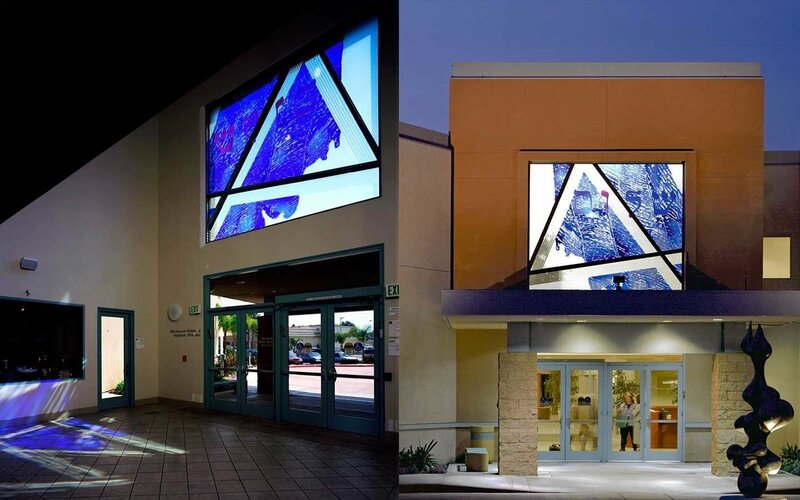 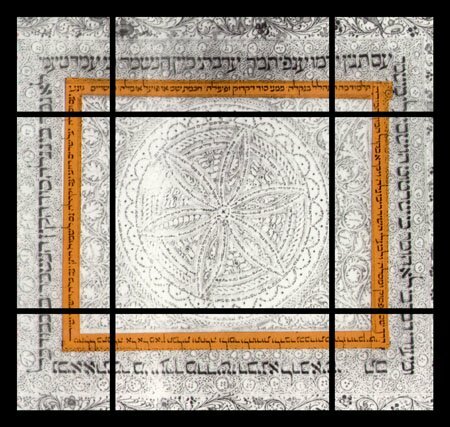 For this project, Huether was asked to create art that would speak to the community at large and also bring light, beauty and inspiration to the interior.He began by cropping the image of the Star of David as the frame for the design. 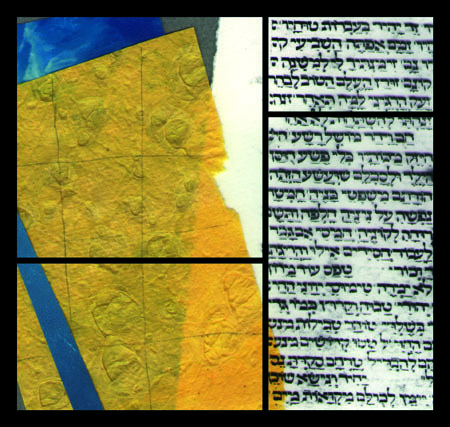 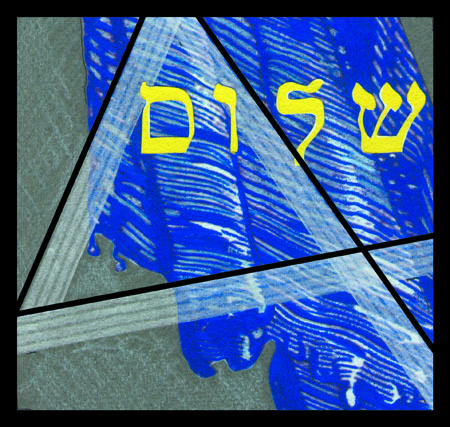 A blue abstracted prayer shawl cascades through the composition and is the background for the word shalom, Hebrew for peace. 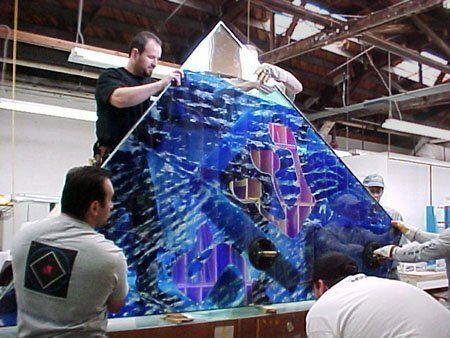 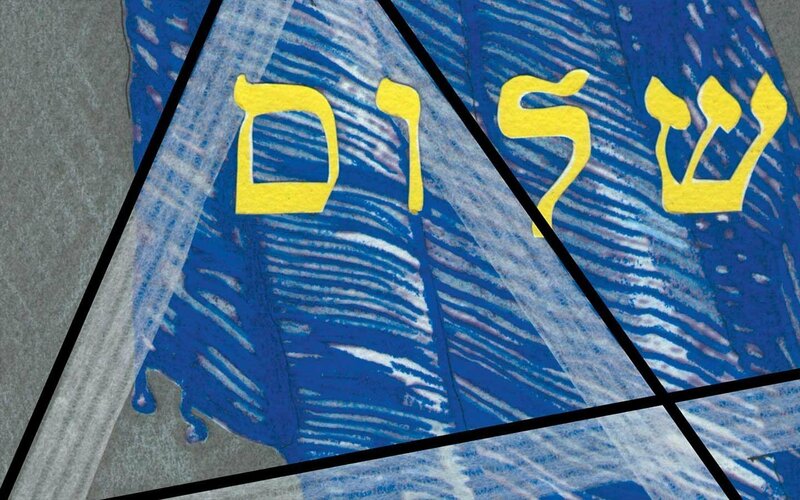 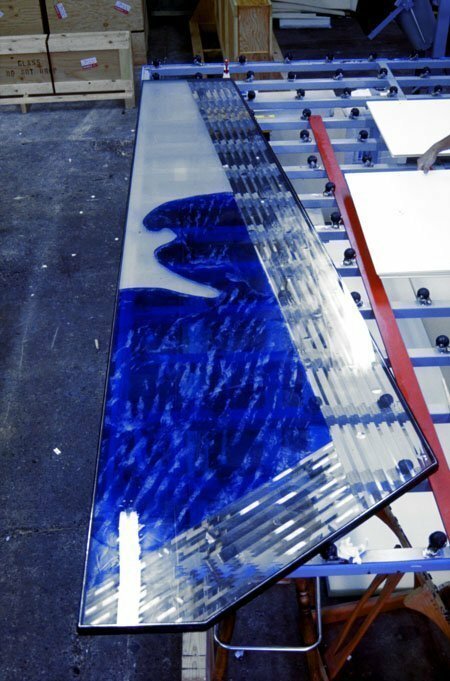 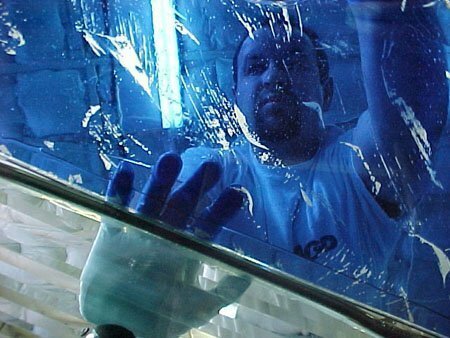 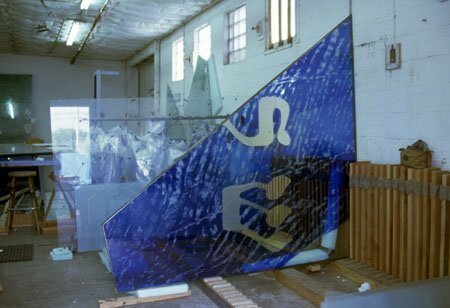 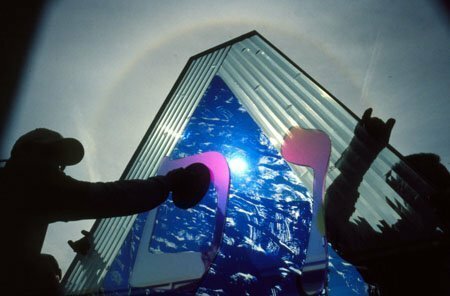 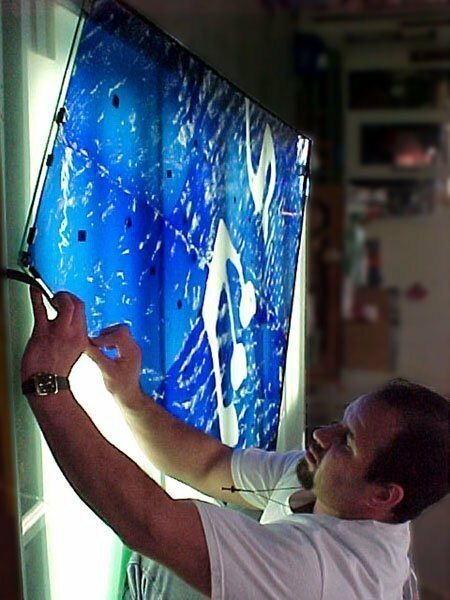 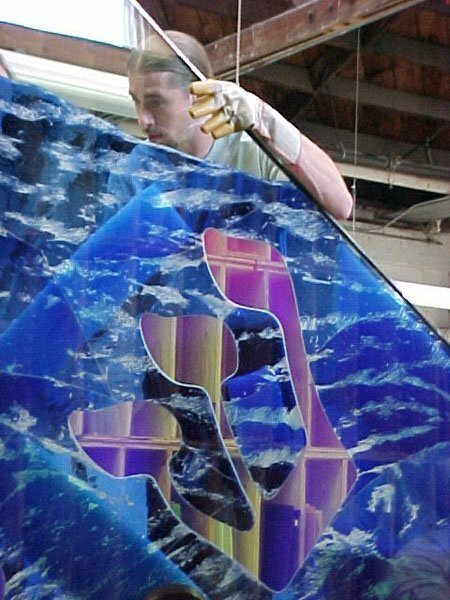 The Hebrew characters are made of dichroic glass so that they read clearly from the street. 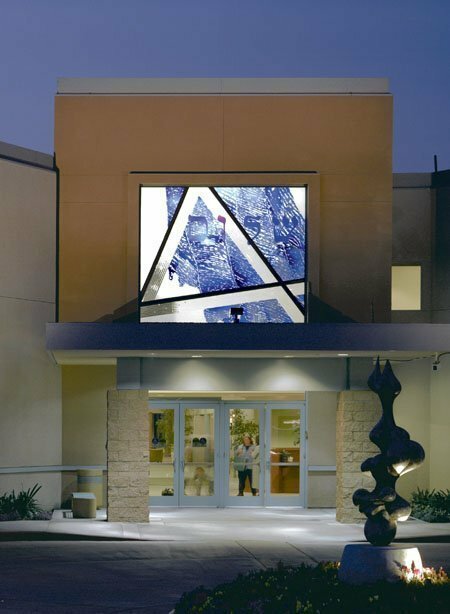 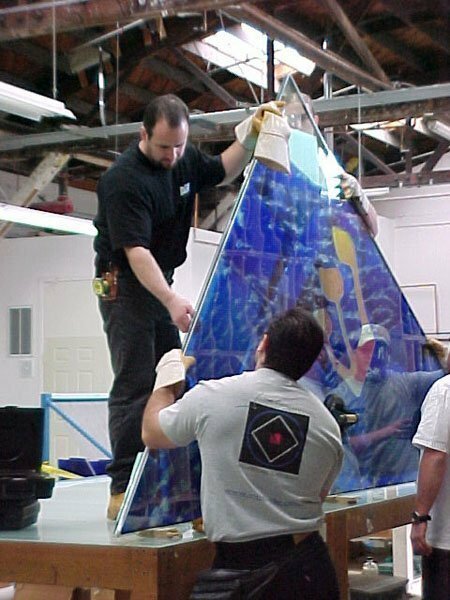 At the perimeter of the cropped Star of David are wide bands of beveled glass bringing projected prismatic light into the lobby. 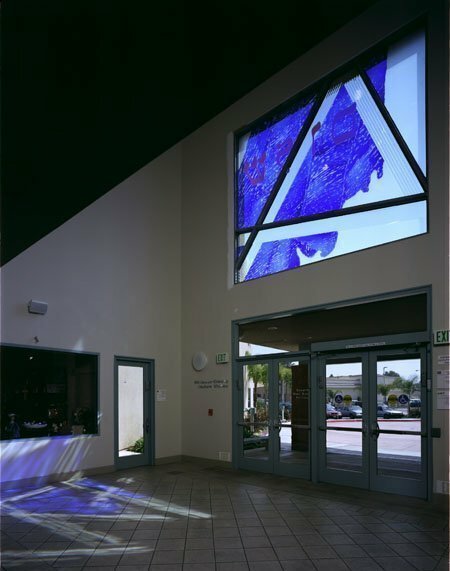 This beautifully patterned light shifts and moves as it follows the sunlight, while the blue of the prayer shawl bathes the reception area in a vibrant, glowing field of intense color.